Frank's Automotive is an independent automotive service and repair shop that has served the City of Tulare and surrounding areas since 1960. We are committed to improving our customer's lives by providing quality automotive maintenance and repair options and solutions, as well as exceptional customer service based on honesty, integrity and professional expertise, to earn their trust and build lifetime relationships. Our technicians have the skills, training and many years of experience to work on regular and alternative fuel domestic and import vehicles. Our goal is to completely satisfy our customers and to keep their vehicles safe, reliable and operating in optimal condition. 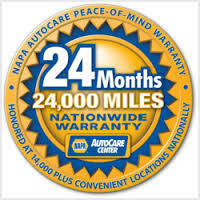 We are a Napa Car Care Center affiliate and have a Better Business Bureau accredited rating of A+. We are also a member of the Automotive Service Councils of California, and I am currently serving as President of the local Tulare-Visalia Chapter. I have been in the car business most of my life, and I am proud to say that all of it has been to serve the great City of Tulare. 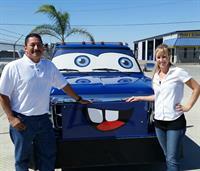 We are Tulare's Most Trusted Shop.